Gabby recently shared her lack of NRA membership, and reminded me of an experience that happened this year at SHOTShow. I too, am not a members of the NRA, and know that I will not be joining the organization in the near future. Part of the reason I feel this way is due to a conversation I had, after a long day at SHOT. I hope that by sharing this experience, the eyes of some readers will be opened. Over all, we agreed that we did not like the path the NRA had been taking during the recent gun-control debates and we both disagreed with many of Wayne Lapierre's leadership decisions. The gentleman explained that after a lifetime of government service, and working within the NRA, he was tired of the entrenched "good-ol-boy mentality" (a direct quote). It was clear that he felt strongly about it being time for a major overhaul of the organization. My new friend was pleased to see me attending SHOTShow as a member of the gun media. He also loved that I had become passionate about guns in spite of my limited accrued hours involved in the shooting sports. As the conversation progressed, I was surprised to find that he completely understood my hesitation to join the NRA. He did ask me to reconsider my decision so that I might, work from within the system, but later, he expressed doubt that such an upset would be possible. As the well-dressed man and I parted ways, he grimly admitted that he would be stepping down from his NRA position soon. I realized that this would delay such changes as we had discussed, even further. I was saddened to see a leader who wanted to protected the Second Amendment and see the NRA run in a more positive way, beaten down to the point of abandoning the opportunity to create change. 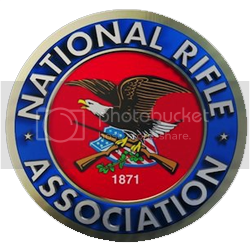 I'm very glad to know that I'm not alone when I say that I am grateful for the NRA's support of my Second Amendment rights but I do not feel that the organization represents me. In contrast, I fear the trajectory of an NRA who squeezes out those who have a slightly different perspective. C-Mag, that's true of any organization, including church. You need to look at the bigger question: would I be able to buy a gun now if it wasn't for the NRA? I think the answer is "NO." No political organization represents us citizens anymore like they use too. They seem bent on their own power. The question you need ask yourself is: do you want to be a citizen or a subject of this country?